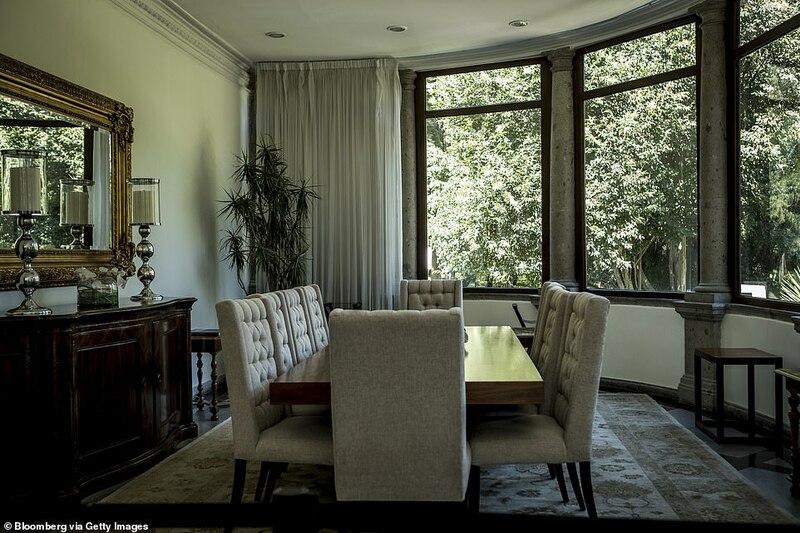 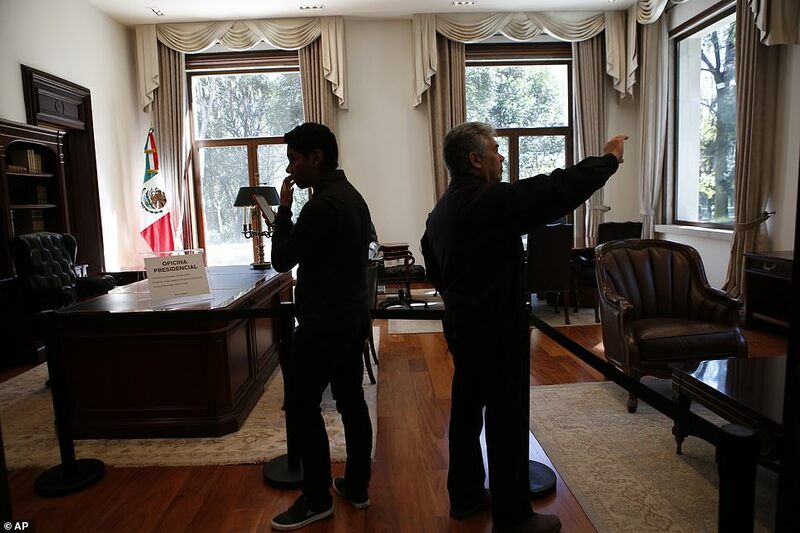 Dazzled Mexicans filed into the opulent residence of their presidents on Saturday after the new government threw open its doors for the first time ever. 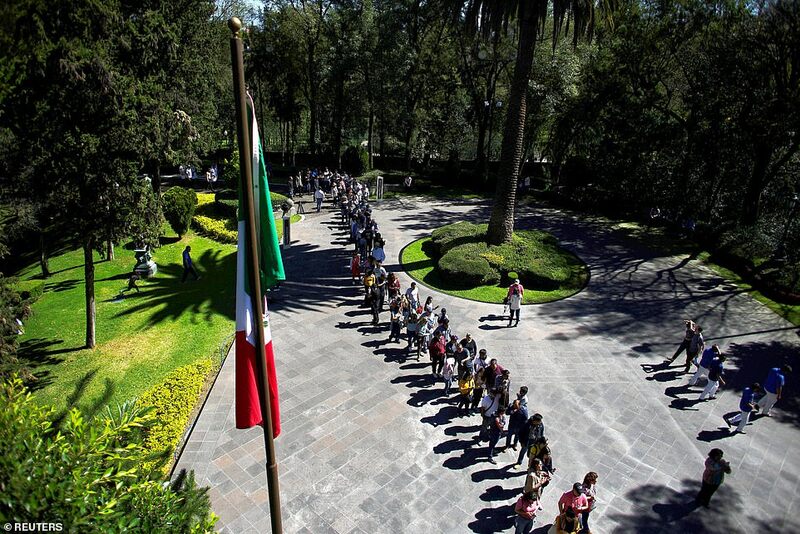 It was a highly symbolic moment that one visitor likened to entering the Palace of Versailles after the French Revolution. 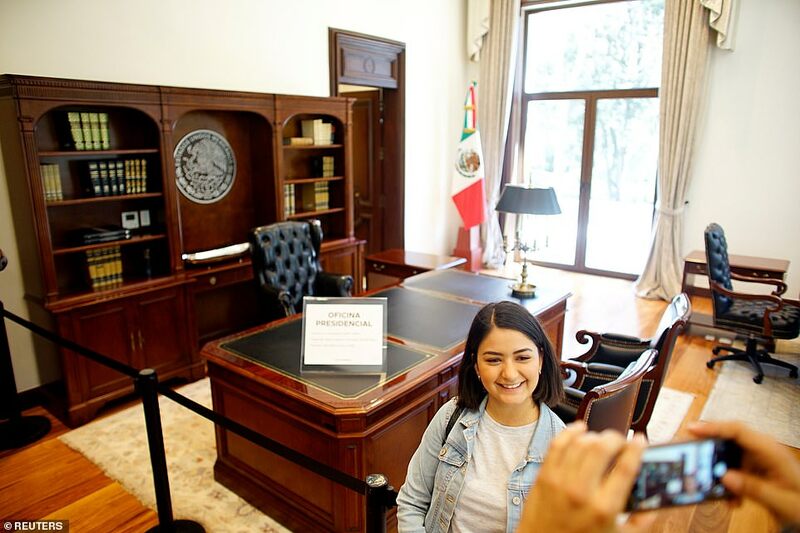 Before leftist President Andres Manuel Lopez Obrador was even sworn in Saturday morning, hundreds of Mexicans lined up to be among the first to see the formerly private quarters in Los Pinos, the home of the country’s presidents for the last eight decades. 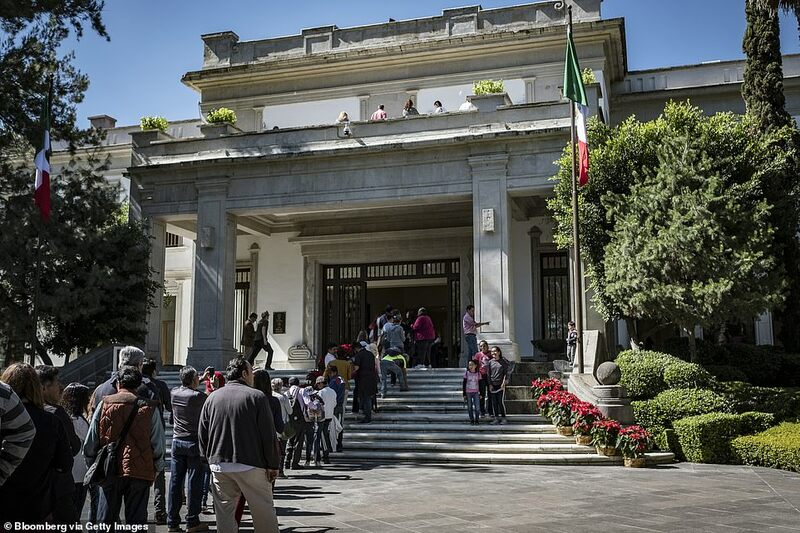 Mario Lozano, a 47-year-old vendor from one of the poor neighborhoods that are part of a sprawl of cinder block homes surrounding Mexico City, said he felt like he was entering the palace of French kings after the revolution. 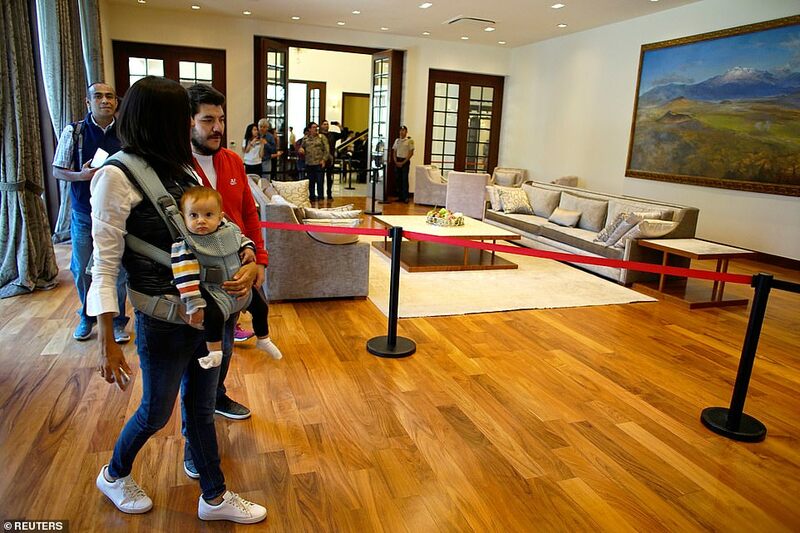 Families lounged in the gardens, ran through corridors to peek into offices and rooms, and listened to musical ensembles from around the nation that were invited to play. 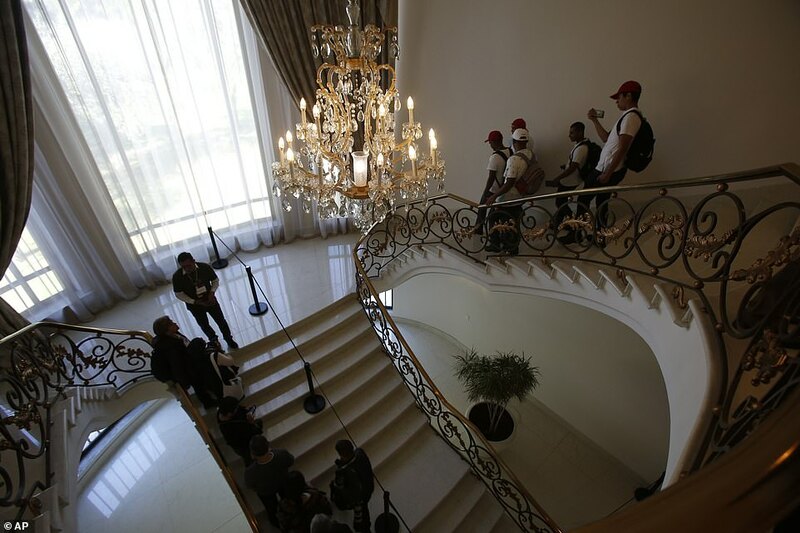 A woman played a grand piano in a gleaming white reception area by a sweeping staircase. 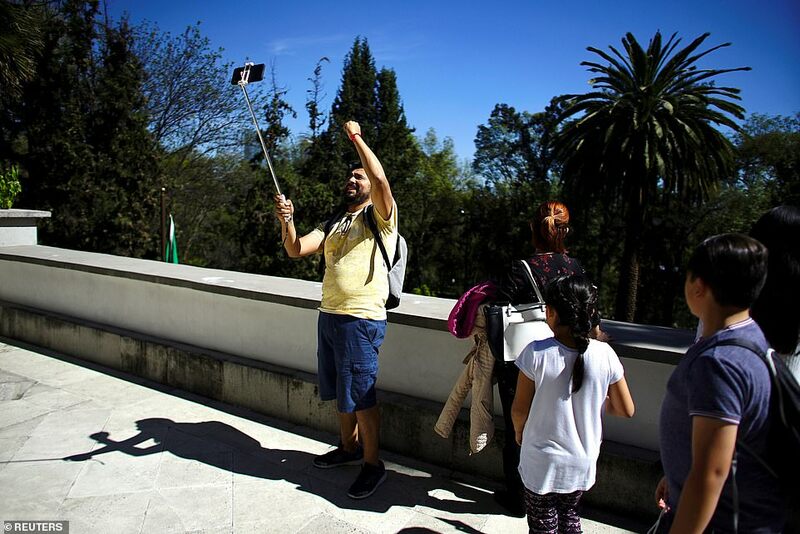 ‘I feel tingles in my stomach knowing that I’m in a place the poor classes did not have access to in the past. 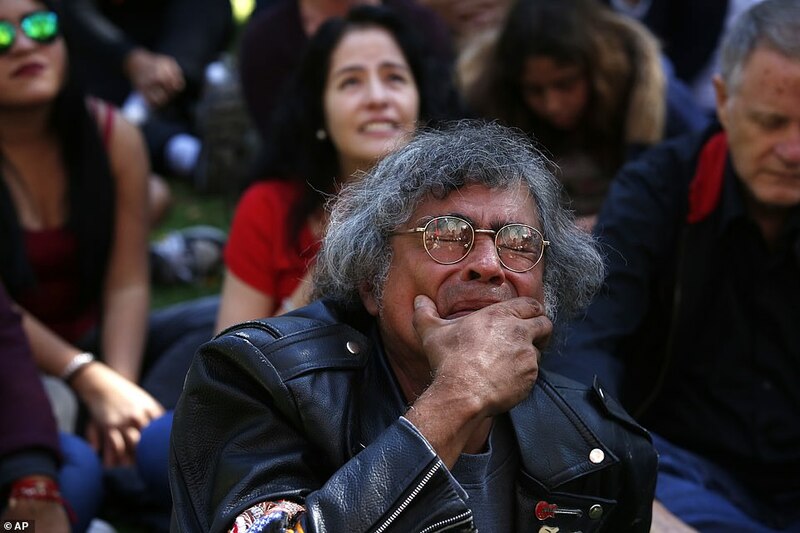 It’s really emotional,’ said Mario Castaneda, a 45-year-old biologist who came with his wife and son. 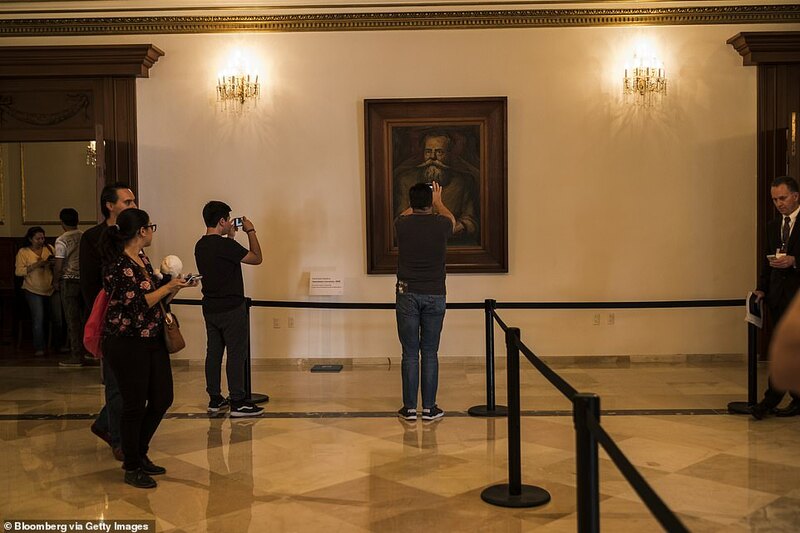 ‘We are being given the freedom to see something that belongs to us, this is all from our taxes,’ Cortes said. 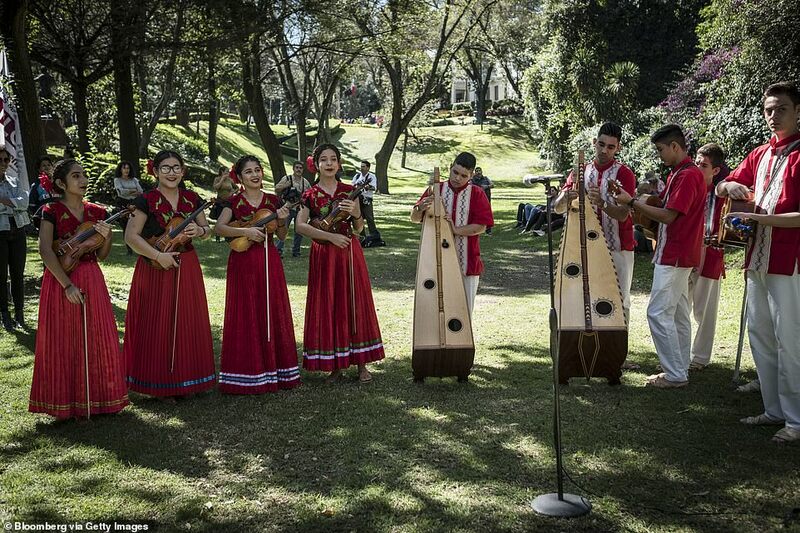 Located in a section of the capital’s huge Chapultepec park, Los Pinos will be converted into a cultural center. 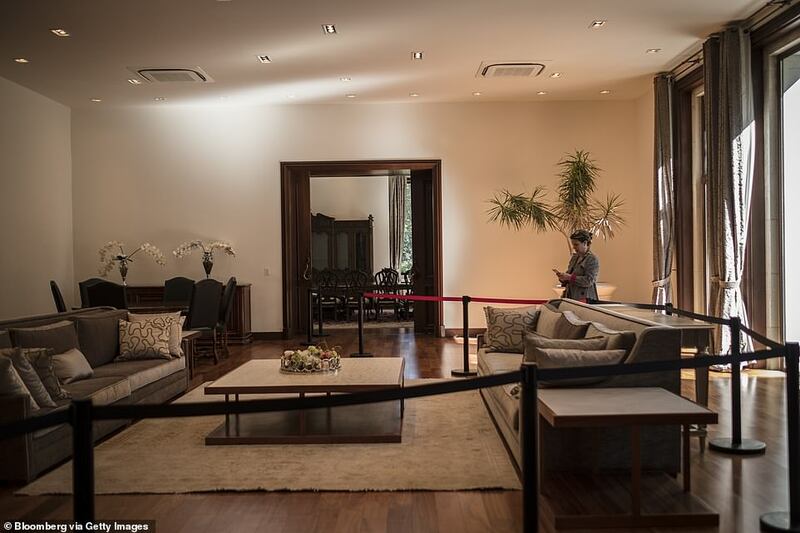 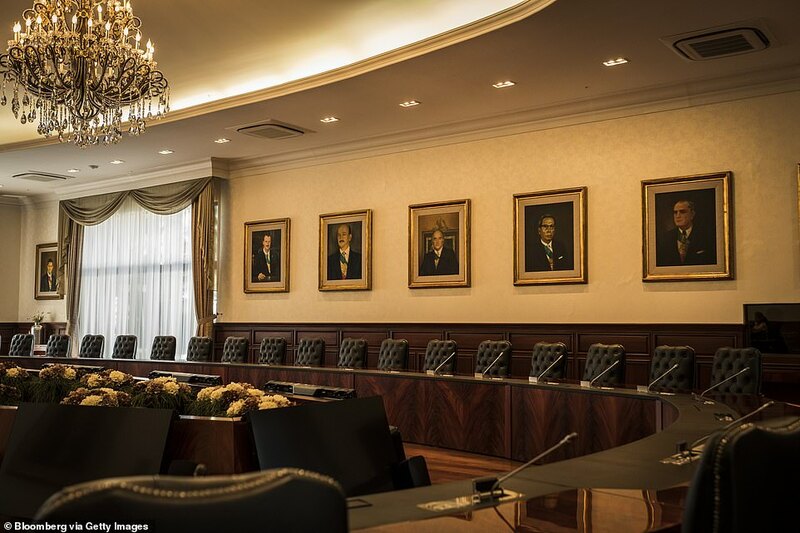 Recently he said he will likely move from his unassuming home in a middle-class neighborhood into an apartment in the city’s historic center near the National Palace that he will use as the presidential office. 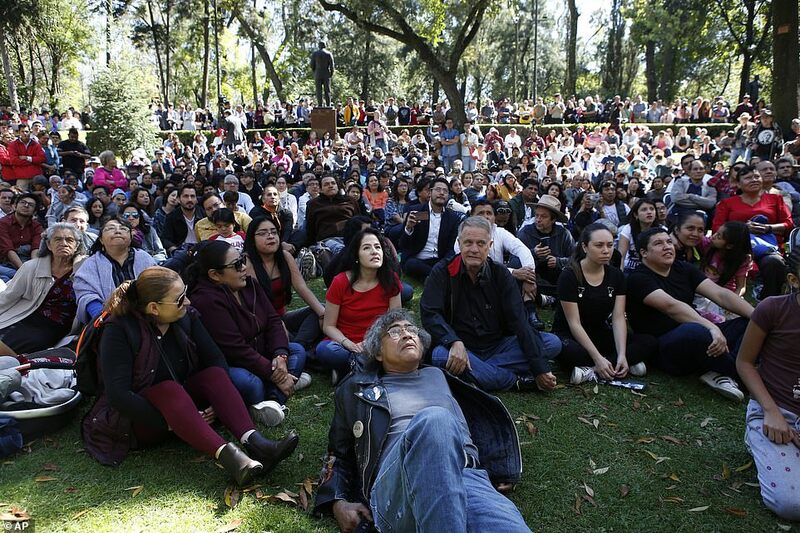 Lopez Obrador, the first leftist in a generation to rule Mexico, won a landslide victory in July on a promise to end record violence, purge the government of widespread corruption, and to put Mexico’s poor at the top of his agenda. 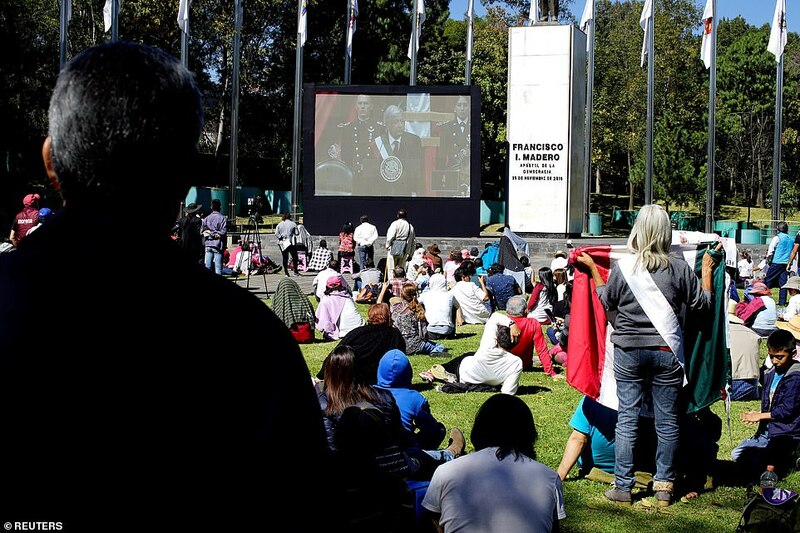 In his inaugural address on Saturday, Lopez Obrador vowed to end the rule of a ‘rapacious’ elite and pledged to bring about a radical rebirth of Mexico that he likens to independence from Spain and the Mexican Revolution. 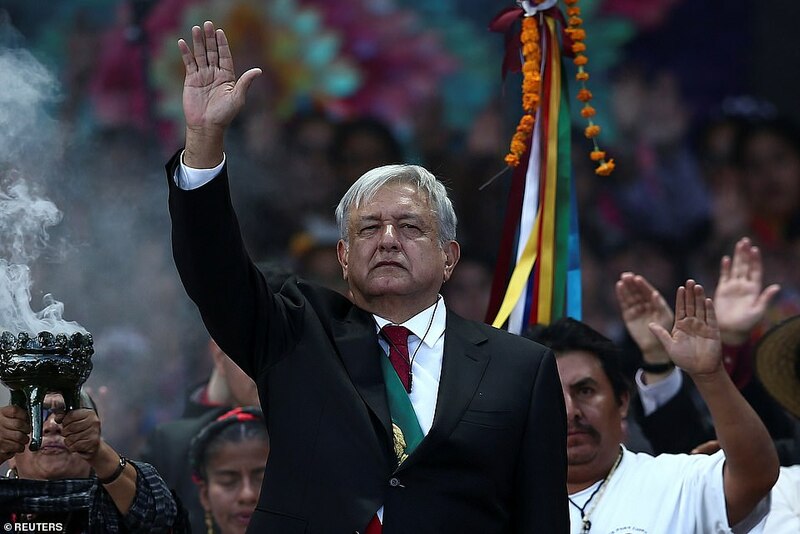 Lopez Obrador, 65, took the oath of office in the lower house of Congress in Mexico City, pledging to bring about a ‘radical’ rebirth of Mexico to overturn what he called a disastrous legacy of decades of ‘neo-liberal’ governments. 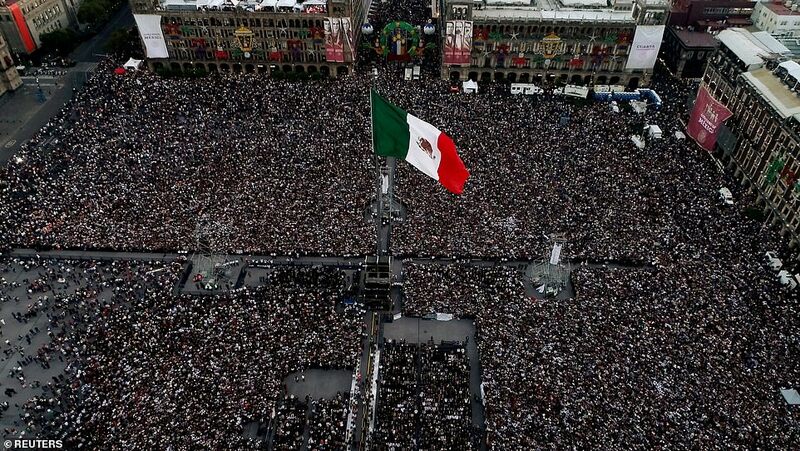 Later, tens of thousands packed into the city’s vast main square for celebrations to mark the new president’s appointment, in which he received a spiritual cleansing by indigenous leaders as jubilant fans jammed the Zocalo. 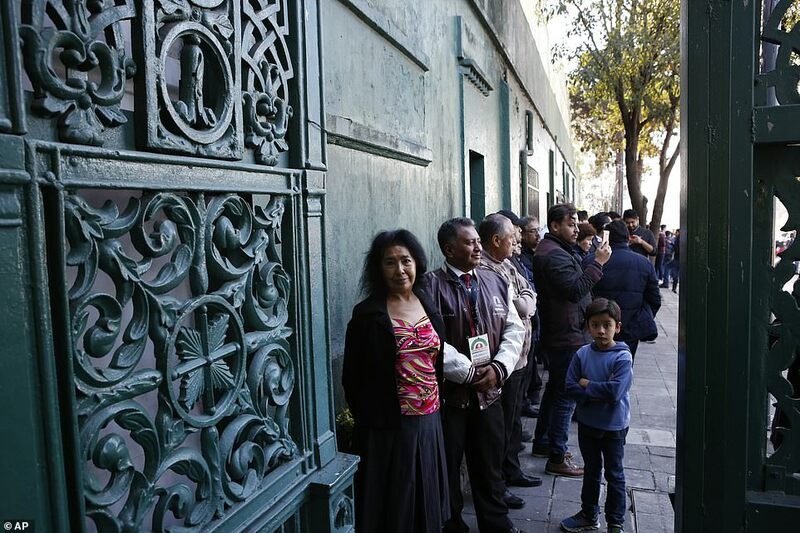 ‘The government will no longer be a committee at the service of a rapacious minority,’ said the new president, who is often nicknamed AMLO. 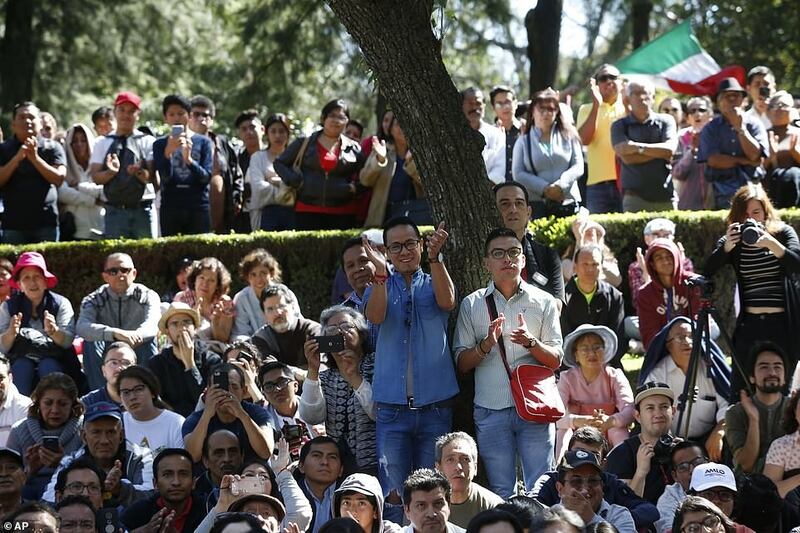 ‘We are going to govern for everyone, but we are going to give preference to the most impoverished and vulnerable,’ Lopez Obrador told his fans.